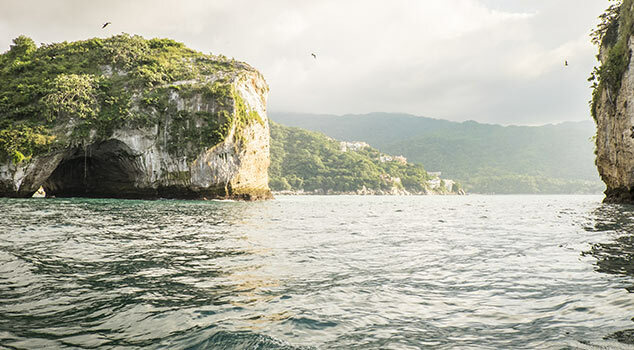 Tucked along Mexico’s Pacific Coast, Puerto Vallarta-Nayarit offer a diverse mix of relaxation and adventure with one common component — it’s all wonderful. From jungle explorations to seafood tacos to days whittled away at the beach, you’ll discover a vacation dreams are made of. Book your all-inclusive vacation package today. For those seeking a home-away-from-home, take a look at choices on United Airlines® flights to Puerto Vallarta. You’ll find a friendly, welcoming atmosphere, perfect for first-time travelers to Mexico as well as returning Puerto Vallarta enthusiasts. 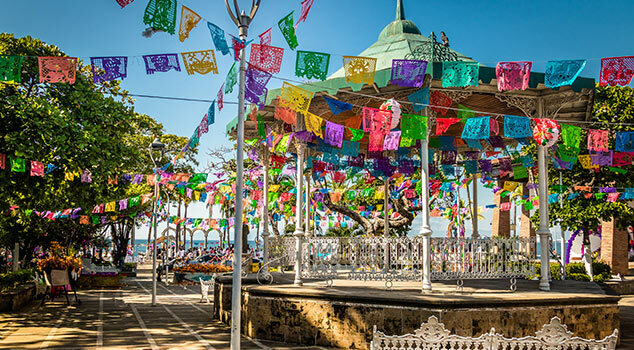 Sample local tequilas, take in the scenic grandeur of the many cathedrals, explore the arts scene through independent galleries and stumble across your new "happy place" while wandering the quaint cobblestone streets. Nestled between the Western Sierra Madre and the Pacific Ocean, Riviera Nayarit is a beautiful and unique beach destination. Enjoy indulgent spa services at a luxury resort or head out to Banderas Bay for an exhilarating day of whale watching. 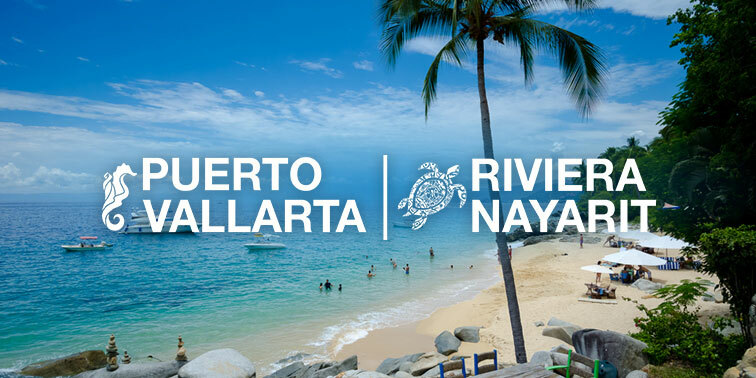 With over 190 miles of coastline and expansive jungles, Riviera Nayarit is the perfect destination for eco-tourists, adventurers, golfers, and plenty of family fun. 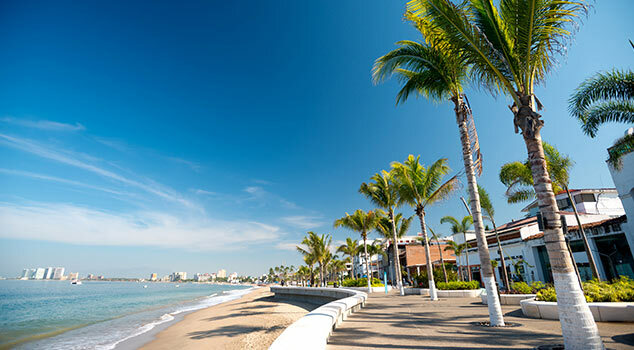 The heart and soul of Puerto Vallarta, a stroll along Malecón boardwalk is an absolute must. Bright with color and closed to motorists, Malecón plays host to some of Mexico’s best restaurants, shopping and artistic touches. No trip to Puerto Vallarta is a complete without a stop at this gem. Resort info: Resting on the beautiful Pacific coast of Mexico, this oceanfront retreat provides the perfect blend of relaxation and fun. Resort info: Distinctive architecture, spacious accommodations, superior service and a full selection of entertainment await in this luxurious hideaway. Resort info: Opulence redefined, this all-suite resort provides the perfect escape for families, luxury travelers and couples. Resort info: The Hilton Puerto Vallarta Resort offers a beachfront location with magnificent views of the mountains and Bandera's Bay.